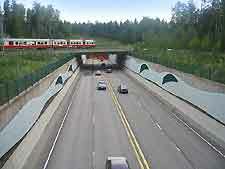 The main transport options available to visitors in Espoo offer many convenient ways to travel to nearby Helsinki and come in the form of hire cars, buses and trains. Espoo is conveniently situated extremely close to Finland's number one airport, Helsinki Vantaa Airport, which is only a mere 31 km / 19 miles to the north-east, around 30 minutes away. Those simply wishing to travel around the city will find that bus transport is always on hand and is extremely cheap and reliable. However, there are also plenty of taxis within Espoo, although there will be many times when all that you will simply need are your feet. Helsinki Airport is also amongst the biggest within the Nordic countries and enjoys high passengers levels topping 12 million every year. The two terminals serve many large scheduled airlines, such as Blue1, Finnair, Finncomm and Scandinavian Airlines. Ground transport options consist of buses and taxis, which connect both Espoo and Helsinki. Renting a car allows tremendous freedom for those holidaying in Espoo and means that it is not only easy to travel around the actual city centre, but to nearby cities, such as Helsinki, Porvoo, Tampere, Tuusula and Vantaa. However, do bear in mind that central Helsinki is prone to traffic congestion and parking spaces here are not only hard to come by, but usually pricey as well. 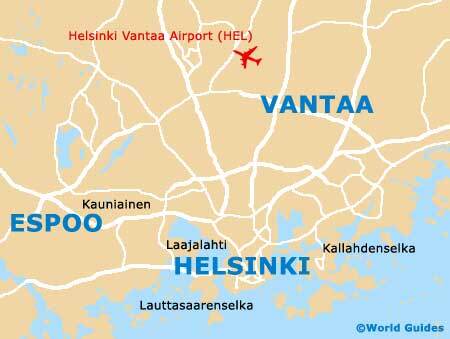 Book your Espoo Car Rental here. Bus transport is a cheap way to travel around the city, although much of Espoo is really eminently walkable. 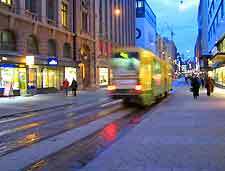 Regular local buses also connect neighbouring cities such as Helsinki and Vantaa, along with fast trains operating from its central railway station. Worth noting, Helsinki actually features its very own Espoo wing within its bus terminal. Reasonably priced 24-hour bus passes are a good way to save some money, if you intend to rely upon bus transport extensively.